Cut-to-size saw equipment producer Schelling has acquired automated edge processing technology company IMA from Adcuram in Munich. Together both companies will develop automation technology for the panel processing and furniture industries. The Austrian company Schelling Anlagenbau GmbH and the German IMA Klessmann GmbH have been cooperating for over 25 years because the two companies have complemented each other. 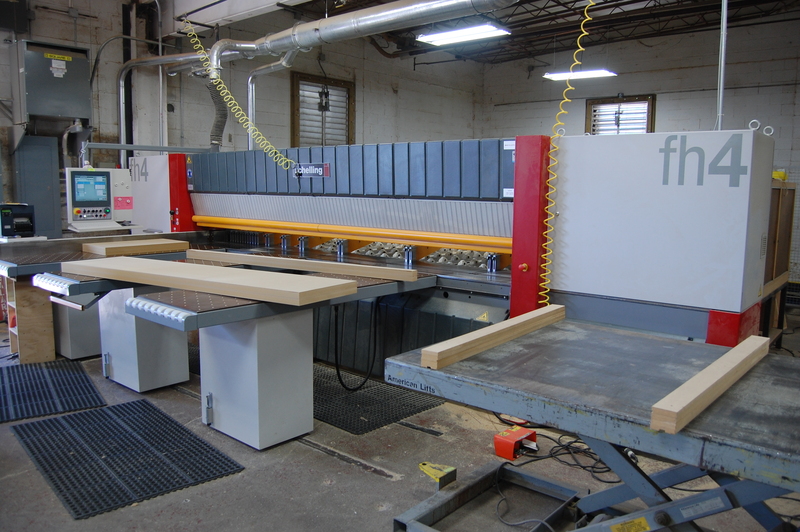 While Schelling is a leader in cut-to-size machines and plants for wood panels and other materials, IMA is a specialist for edge processing technology and systems for the furniture and component manufacturing industries. Complete systems and the controlled automation of production processes such as Industry 4.0 are the key areas in the future of industrial manufacturing. Both companies have much knowledge in these fields. So the companies have taken the long-lasting successful collaboration of the two companies and turn it into an official partnership. While both brands will be preserved, the companies will intensify their collaboration in all areas of business. Most importantly when it comes to developing and executing the newest most groundbreaking technologies that will underscore their position as global technology leaders. The partnership will also yield positive synergy effects in sales, purchasing and manufacturing for both companies. The global subsidiaries of both companies will work even closer together and the dealer networks of both companies that already overlap in 90 percent of the world markets will bring even more advantages to the customers and partners of the two companies. For many years both companies have shared exhibition space at numerous trade shows worldwide. At the same time the companies have successfully managed and executed many large-scale customer installations and projects. The newly elevated partnership will present more of these opportunities and help intensify the cooperation. Joined in this new partnership Schelling and IMA wish for an even greater recognition in the global market place by better positioning both companies as major players with a total of over 1,400 employees and more than $275 million in revenue. Schelling Anlagenbau Gmbh, http://www.schelling.com, is located in Schwarzach (Voralberg), Austria. The company was founded in 1917 and employs almost 500 people worldwide at 10 locations in nine countries worldwide. The offices are located in Austria, China, England, Italy, Poland, Russia, Slovakia, Singapore and the United States. The product portfolio includes cut-to-size saws and plants for flat panels of different materials; automatic storage retrieval systems and automatic stacking solutions for wood panels; automatic precision saws and plants for plastic, non-ferrous metals, steel and printed circuit boards. IMA Klessmann GmbH, www.ima.de, located in Lubbecke (Westfalen), Germany, is a manufacturer of machines and systems for the wood panel processing industry. The company that was founded in 1951 produces machines and automatic processing lines for the furniture and component manufacturing industries. IMA designs and builds custom manufacturing solutions in stationary and throughfeed execution as well as transport and handling solutions. IMA has nine subsidiaries in Europe, North America and Asia and employs 900 people.